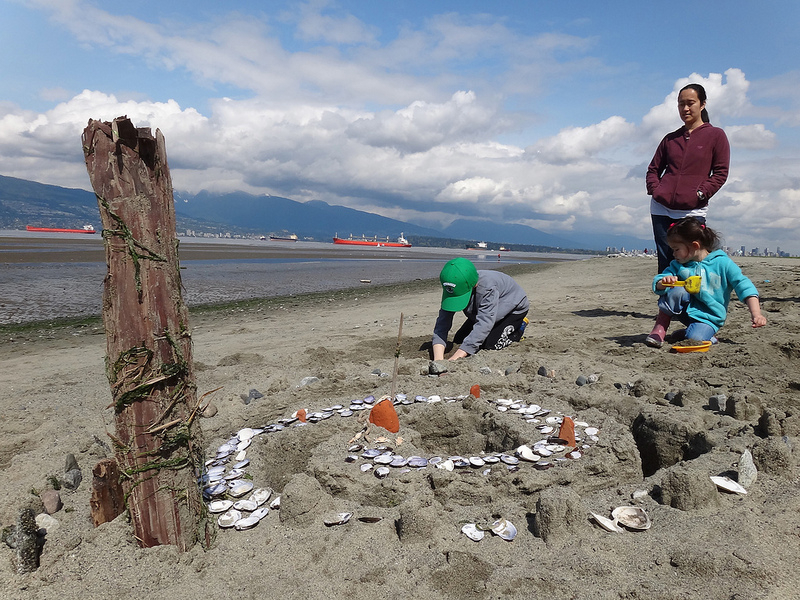 My nephew and family have fun at Spanish Banks Beach in Vancouver, Canada. 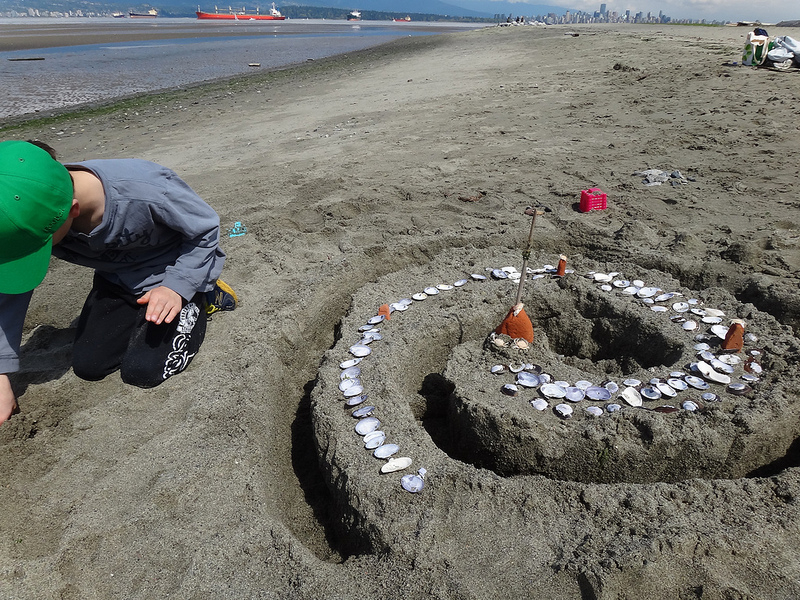 The art is influenced by Andy Goldsworthy. Who doesn’t like the beach :) Great to see your kids having that much fun.